The Dabang Mumbai team at a practice session ahead of the 2017 Hockey India League. 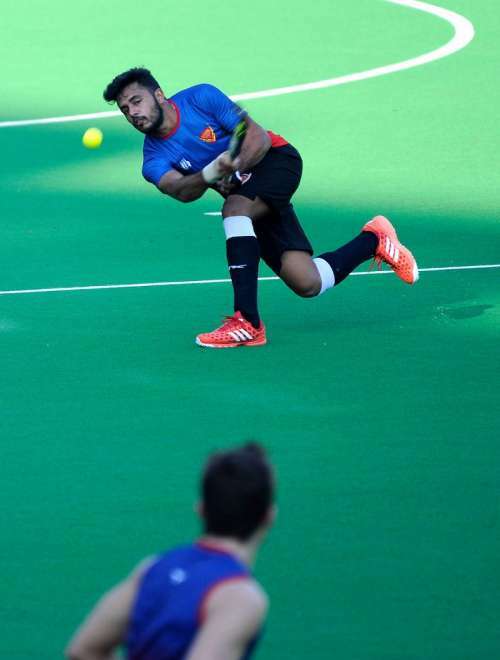 The fifth edition of the Hockey India League is all set to get underway this Saturday on the 21st of January. The tournament which is organised by Hockey India will see some of the best players from India and the world clash against each other is the six-team competition. 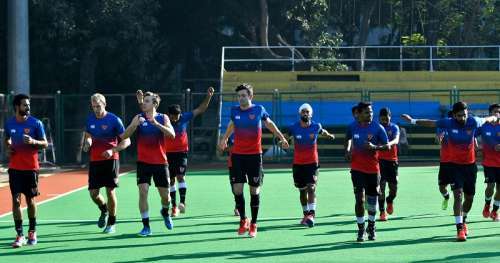 Considered as the richest hockey tournament in the world, matches will be held at six venues in India for a little over a month’s duration with the final encounter set to be staged on February 26. The opening clash will feature Ranchi Rays lock horns against Dabang Mumbai, at the latter’s home ground in the Maximum City. 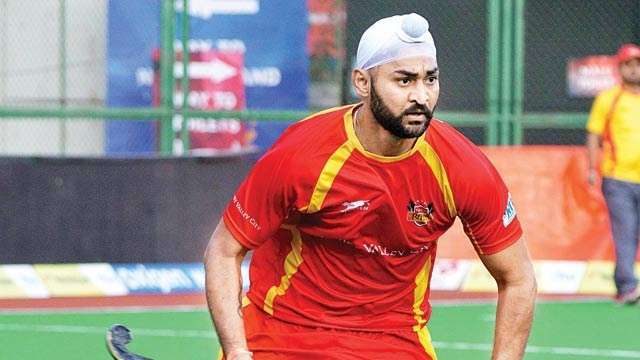 2013- With the erstwhile owners Dabur, the Mumbai outfit finished last on the league table in the inaugural season with just one win in 12 matches, but their forward Sandeep Singh, led the scoring tally with 11 penalty corner conversions. 2014- In the second edition, the Mumbai Magicians went one place better to finish on the fourth position with Sandeep repeating his feat from the past season and emerging as the highest goal-scorer yet again. 2015 It was yet another disappointing season for Mumbai, with a bottom of the table finish, the only thing they could take heart from was the emergence of young gun Harmanpreet Singh who shined throughout the season for the team. 2016- The team missed qualifying for the semi-finals by a small margin as it all boiled to one final pool game enocunter which they failed to win. A fifth-place finish on the points table did not do justice to their run in the tournament with two great record-breaking matches that they played. They first thrashed the Ranchi Rays 7-5 and then overcame the Delhi Waveriders 8-3 to amass the second biggest score difference last season in the world's biggest hockey league. It was also their biggest win in HIL history. Harmanpreet Singh’s performances will be key to Mumbai’s scheme of things. He will be the captain of the side in the absence of the injured Matthew Swann. The 25-year old German forward will lead the attacking charge of The Alphas, akin to the last season. His natural dribbling skills and goal-scoring prowess make him a marquee player to watch out during the course of the league. Drag-flicker, goal machine, Olympian and World Cup winner and all just 21-years old! Harmanpreet Singh is one of the brightest prospects of Indian hockey shuttling across the junior and senior team as per requirements since the past two years. Coming off a World Cup-winning campaign with the Junior team, Harmanpreet will play an important role in Mumbai’s campaign this season. The Dutch international who was a silver medallist at the London Olympics will play as a centre-back for Dabang Mumbai. With experience and skills by his side, he will play the role of an anchor in defence. A natural left-winger, Affan has been in prime form in the capacity of a forward and has cemented his place in the Indian senior team. He had a particularly successful outing in the recent test series against Australia, where the youngster scored on more than a couple of occasions, and will looking to carry that form into the HIL.